The NAB Show, held April 7–12, 2018 in Las Vegas, is the world’s largest convention encompassing the M.E.T. Effect—the convergence of media, entertainment and technology. 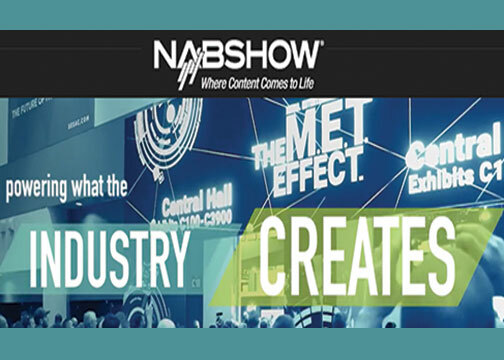 The NAB Show is the marketplace for solutions that transcend traditional broadcasting. It boasts 103,000 attendees from 161 countries and 1,800+ exhibitors. From creation to consumption, across multiple platforms and nationalities, this is where visionaries convene to bring content to life. Moreover, spearheading this is a series of insightful and informative keynote presentations. 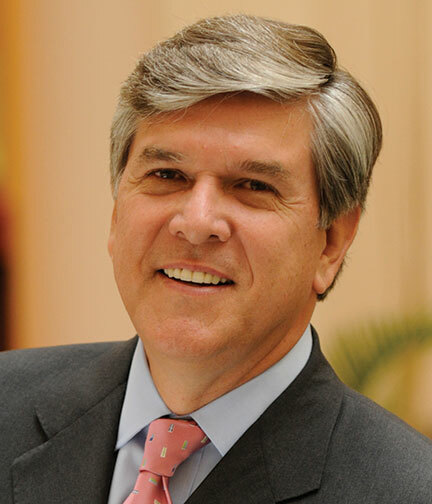 Gordon H. Smith, president and CEO of the National Association of Broadcasters, kicks off the opening session of the 2018 NAB Show on Monday, April 9 at 9:00 a.m. During his State of the Industry address, Smith will reflect on how NAB and local radio and TV stations are standing on the shoulders of the giants of the broadcasting and media industries. Their innovation, creativity and energy are propelling broadcasters into the future and enabling them to better serve their communities. Also at this session, the Distinguished Service Award will be presented to Robin Roberts, co-anchor of ABC’s Good Morning America. For more than 60 years, the NAB Distinguished Service Award (DSA) has been given to those who have made a significant and lasting contribution to the American system of broadcasting. Moreover, there will be opening remarks by Dan May, president of Blackmagic Design, an event sponsor. Also featured is a fireside chat with the honorable Greg Walden, chairman, Energy and Commerce Committee, U.S. House of Representatives. 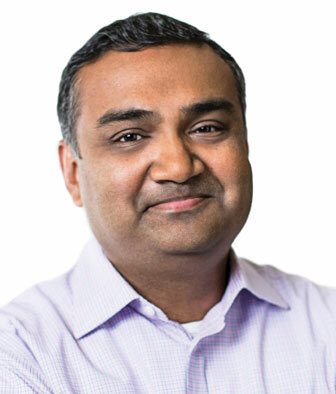 Then Neal Mohan, YouTube’s chief product officer, will host a Q&A on the power of online video, cutting-edge hardware and innovative software that have aligned to give audiences an interactive, immersive entertainment experience. Mohan will discuss the next era of television and the new ways that technology can help broadcasters reach more people. The session will focus on how companies can develop and implement purpose-driven strategies to optimize overall business results. Mainwaring will explain the business perspective of “conscious capitalism.” The term refers to companies that serve the interests of all stakeholders, from investors and employees to consumers and local communities. Separate vignettes will highlight how companies are uniquely positioning themselves to thrive in today’s crowded marketplace by operating with a distinct purpose. Following this keynote, attendees will have the opportunity to engage in a Q&A with Mainwaring and marketing and advertising executive Roy Spence during a session titled “Implementing Conscious Capitalism at Your Station.” Spence will provide in-depth information and examples of how broadcast industry professionals, specifically station management, can drive profits by capitalizing on new and pre-existing public service initiatives. 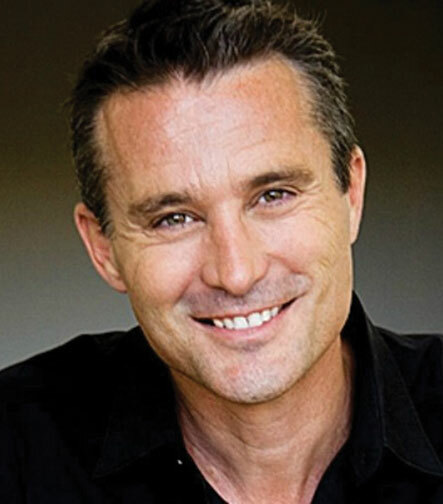 Simon Mainwaring is the founder and CEO of We First. The consultancy helps develop purpose-driven brands like TOMS, Virgin, Timberland and Coca-Cola. His book We First: How Brands and Consumers Use Social Media to Build a Better World is a New York Times, Wall Street Journal and Amazon bestseller. 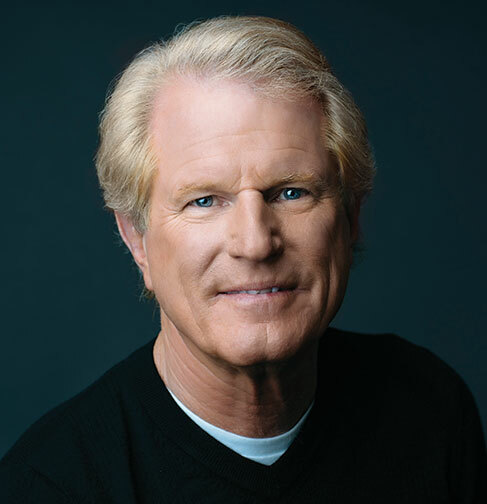 Roy Spence is cofounder and chairman of GSD&M, a marketing and advertising agency that has worked with brands like Walmart, BMW and John Deere. He is also the cofounder and CEO of the Purpose Institute, which helps companies identify and foster core values. Additionally, Spence coauthored the bestselling It’s Not What You Sell, It’s What You Stand For: Why Every Extraordinary Business Is Driven by Purpose. CBS News Digital’s top executive, Christy Tanner, will keynote the Online Video program on Tuesday, April 10. The session will explain how CBSN, CBS News’ streaming video news service that launched in 2014, is creating new value for viewers, advertisers and CBS Corporation. The Online Video program is produced in partnership with VideoNuze. Tanner will provide insight on how CBS is leveraging intra-company news assets to develop expanded digital services. In her role as executive vice president and general manager of CBS News Digital, Tanner oversees CBS News on all digital platforms. This includes CBSN, CBSNews.com and mobile as well as OTT (over-the-top) apps. Under her leadership, CBSN delivered more than 280 million live streams in 2017, up 17% from 2016. 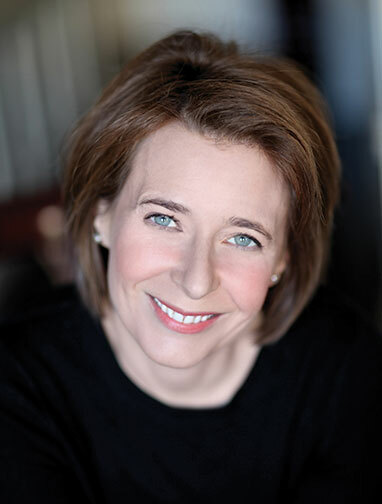 She has spearheaded the growth of the CBSN Originals documentary series and continues to oversee its expansion on all platforms. The one-day Online Video program covers a diversity of topics. They include OTT content, live streaming, cross-screen targeting/delivery, mobile consumption as well as emerging platforms. This year, NAB will also present an exclusive keynote that provides a front-row seat to the future of content creation. The session will explore the latest cloud-based media workflows combined with advanced machine learning to deliver next-level, immersive viewing experiences. This session is produced by Amazon Web Services (AWS). The keynote event is divided into three acts. It will take place Wednesday, April 11 at 11:00 a.m. on the NAB Show Main Stage. The stage is located in the North Hall of the Las Vegas Convention Center. It will tell the story of a high-pressure, OTT video event involving NASA Jet Propulsion Laboratory (JPL) rovers on Mars. The producers are stymied by a series of complicated challenges, such as scaling up cloud resources to address demand spikes. Or language translation and captioning. Audience members on-site as well as online will learn if the producers cab resolve their dilemmas in real time. Act two of the session will feature a peek into the role video and machine learning technologies will play on Earth and in the journey to Mars. 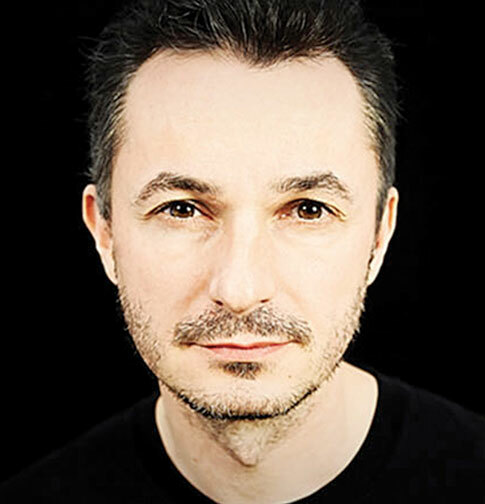 Futurist Marco Tempest serves as a creative technologist and advisor to organizations such as NASA JPL. Tempest is also a Director’s Fellow at the MIT MediaLab. 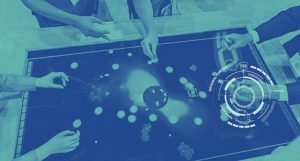 Moreover, founder and director of the MagicLab, Tempest will offer insights and inspiration for creating more immersive experiences. The third act of this keynote session comprises a panel discussion between high-profile media brand and scientific technology leaders. They are leveraging cloud media workflows and looking to machine learning and artificial intelligence to enrich those processes. In addition, the show will be encoded and delivered by AWS Elemental in a live stream of the event via an AWS media workflow that includes Amazon EC2, Amazon Elastic Load Balancing, Amazon Route 53 and Amazon CloudFront for public access at live.awsevents.com.